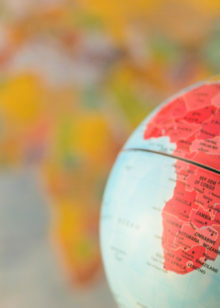 The World Cup is remarkable in its ability to unite nations in pursuit of one common goal. 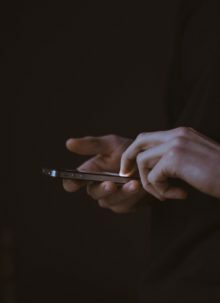 In fact, it is quite possibly the only time during which so many countries challenge each other on such an even playing field. Differences in global, cultural, and economic standing disappear as players test their athleticism on the world stage. 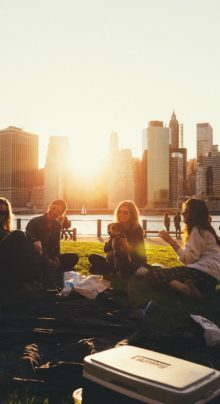 But just as the World Cup highlights our similarities, certain aspects of the World Cup underline our differences. Take a look at how fútbol fans celebrate their teams and their love of the game around the world. Algerian soccer fans watch the Algeria-Belgium match in Algiers. 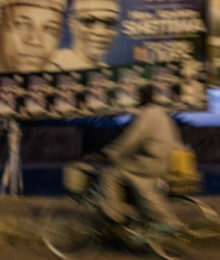 Photo by AP/Sidali Djarboub. Algerian fans watch Algeria play South Korea in Algiers. Photo by Getty Images. Bosnian fans watch the Bosnia-Nigeria game in Sarajevo. Photo by Reuters. A Bosnian fan reacts after Bosnia’s loss to Nigeria. Photo by Reuters. 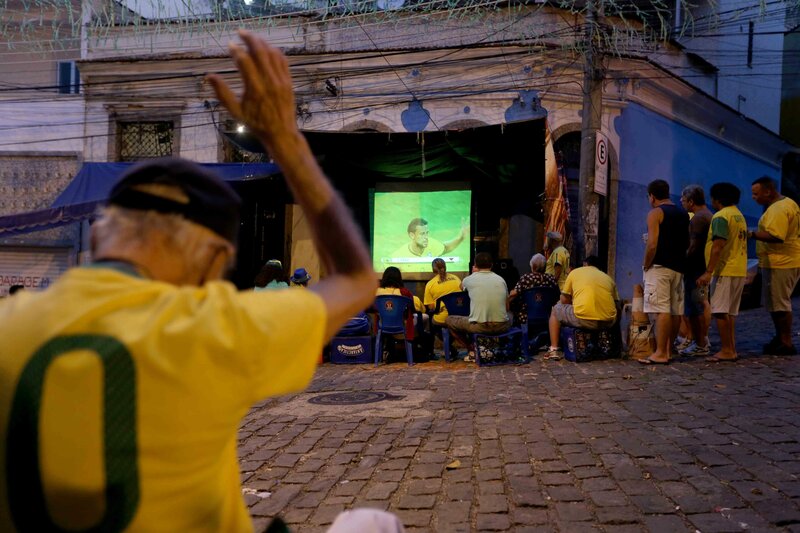 Brazilian fans watch as Brazil and Mexico tie 0-0. Photo by Joe Raedle/Getty Images. 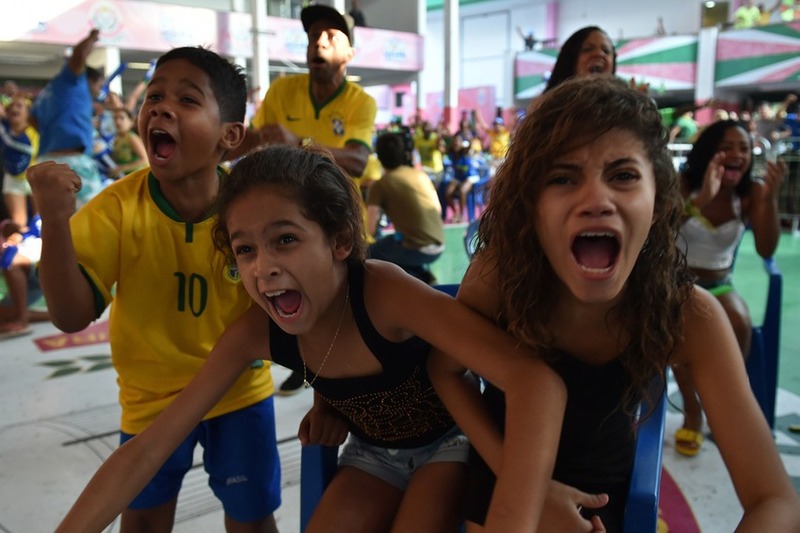 Brazilian children react to Brazil’s Group of 16 match against Chile. Photo by Yasuyoshi Chiba/AFP/Getty Images. 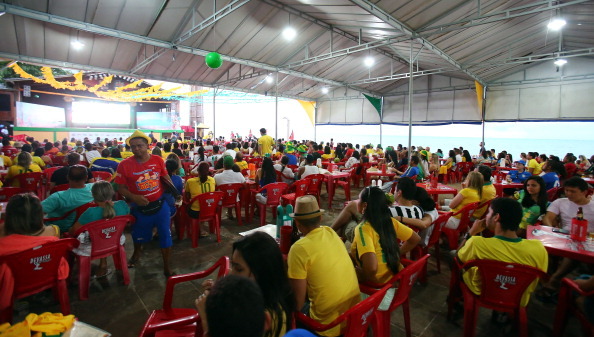 Brazilian fans watch the opening match in Porto Seguro, Brazil. Photo by Martin Rose/Getty Images South America. Chinese fans watch the opening game between Brazil and Croatia. 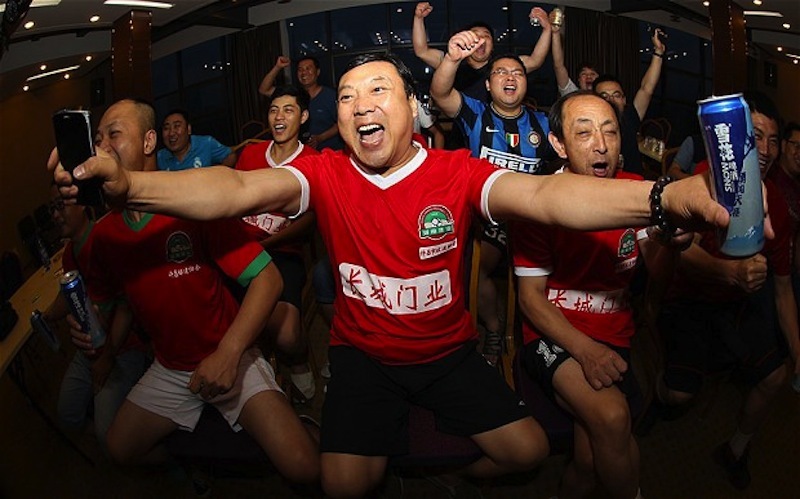 Due to the 11-hour time difference between China and Brazil, many dedicated Chinese soccer fans have been staying up all night to watch the Cup. As of June 18th, at least three Chinese fans had died from the effects of exhaustion while watching the games. Photo by AFP/Getty Images. 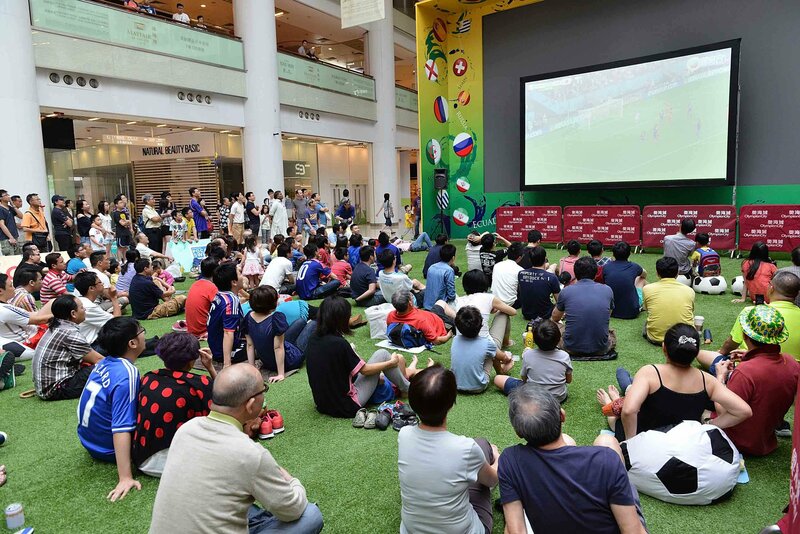 Fans watch the Cup in a Hong Kong shopping mall. Photo by Jayne Russell/Getty Images. 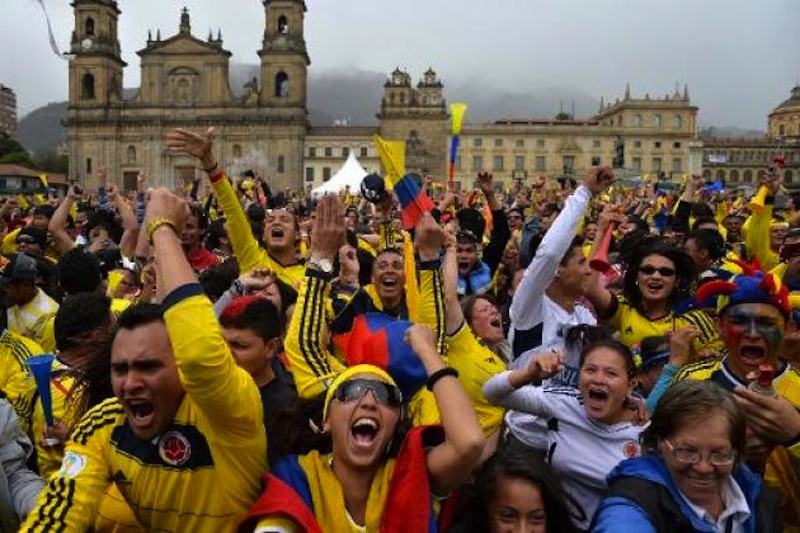 Colombian fans celebrate during a game against the Ivory Coast in Bogotá. Photo by Diana Sanchez/AFP. 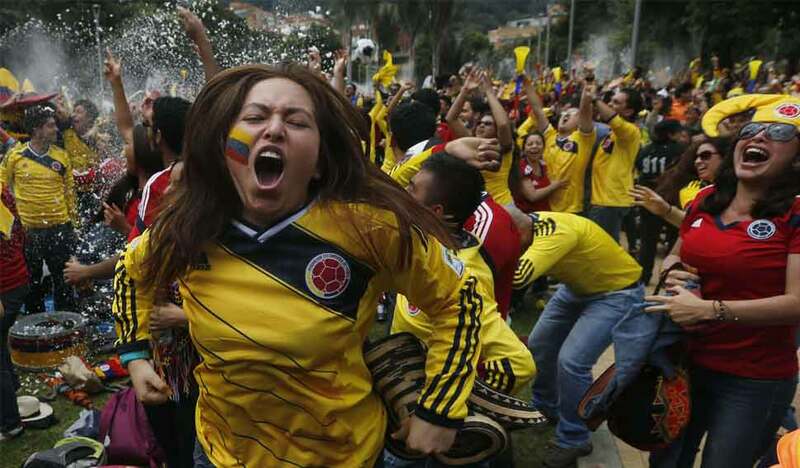 Colombia fans celebrate a goal during the World Cup Group C soccer match between Colombia and Greece, at a park in Bogota. Photo by Reuters. 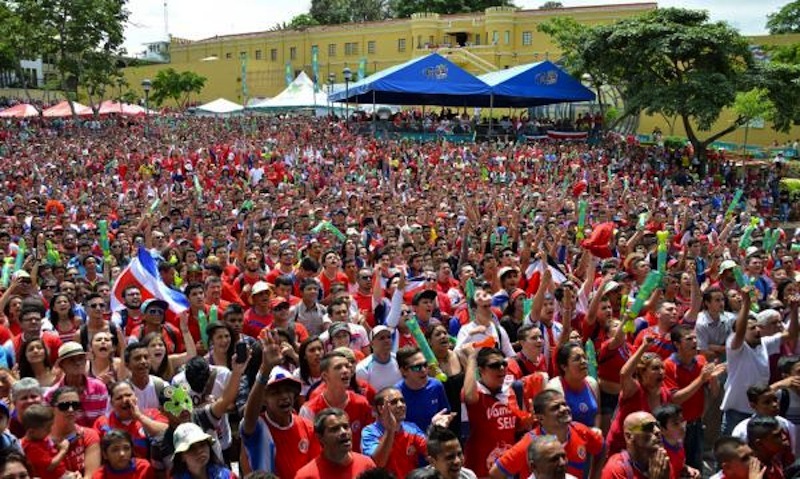 Costa Rican fans celebrate in the Plaza de la Democracia in San José during their game against England. Photo by Getty Images. 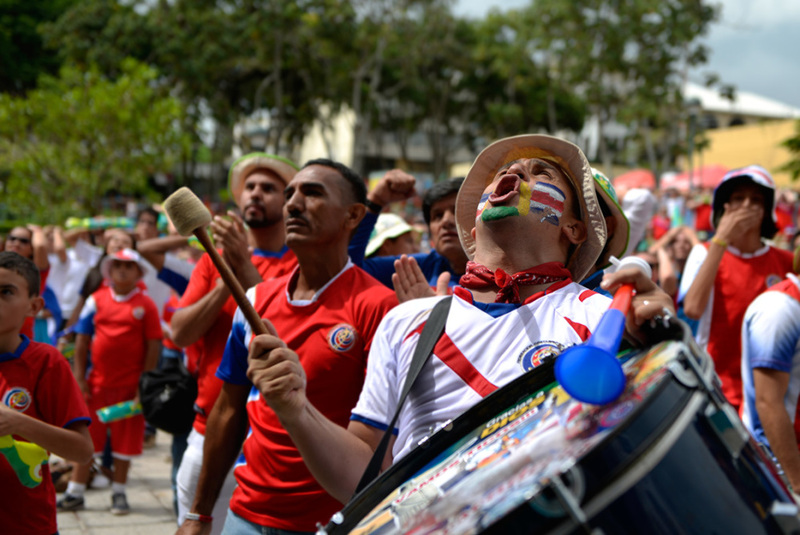 A fan cheers in Costa Rica’s Plaza de la Democracia. Photo by Lindsay Fendt/Tico Times. 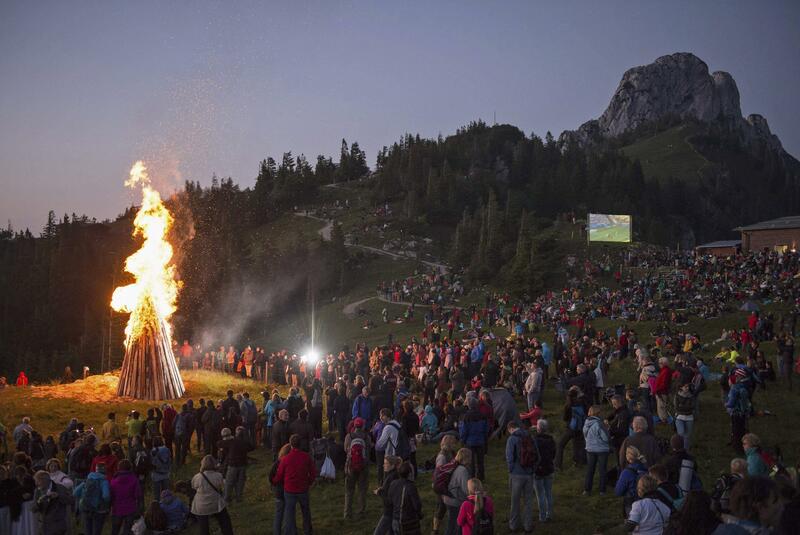 German fans watch the Germany-Ghana game at the Sonnwendfeuer Festival, a festival dedicated to the summer solstice. Photo by Lukas Barth/Reuters. 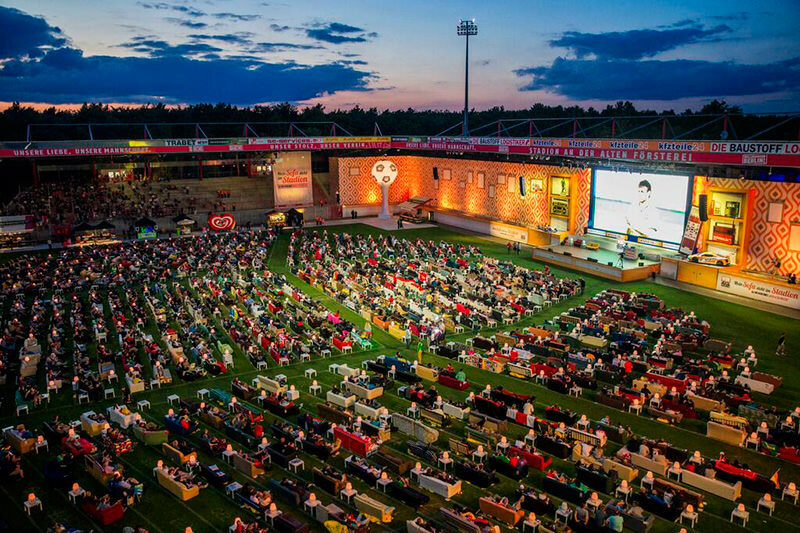 Union Berlin, a small German club, invited fans to carry couches into the club’s small stadium, creating a giant living room with space for up to 850 couches. Photo by Reuters. 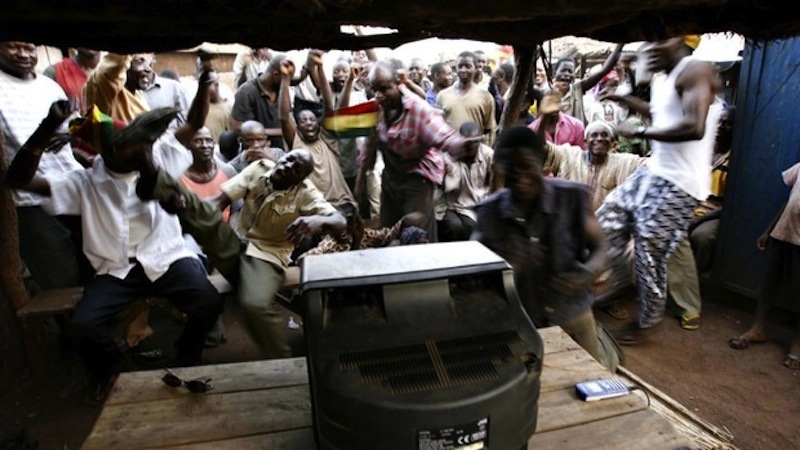 Ghanaian fans watch a game in Tamale, Ghana. 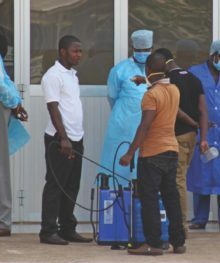 The country has been rationing electricity by ordering periodic shutdowns to deal with electricity shortages caused by low water levels at hydroelectric plants on the Volta River. 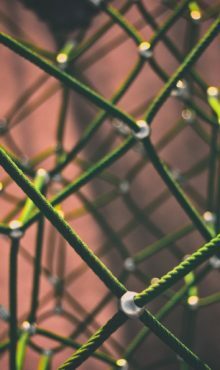 In order to ensure that fans will be able to watch the World Cup, the Ghanaian government has purchased 50 megawatts of power from Ivory Coast. 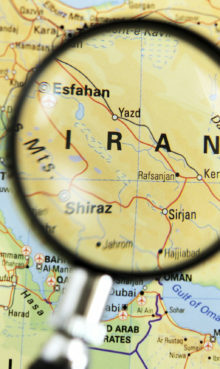 Further efforts include running power plants at full capacity and requiring Volta Aluminum (the nation’s largest smelting business) to slow production. Photo by Finbarr O’Reilly/Reuters. 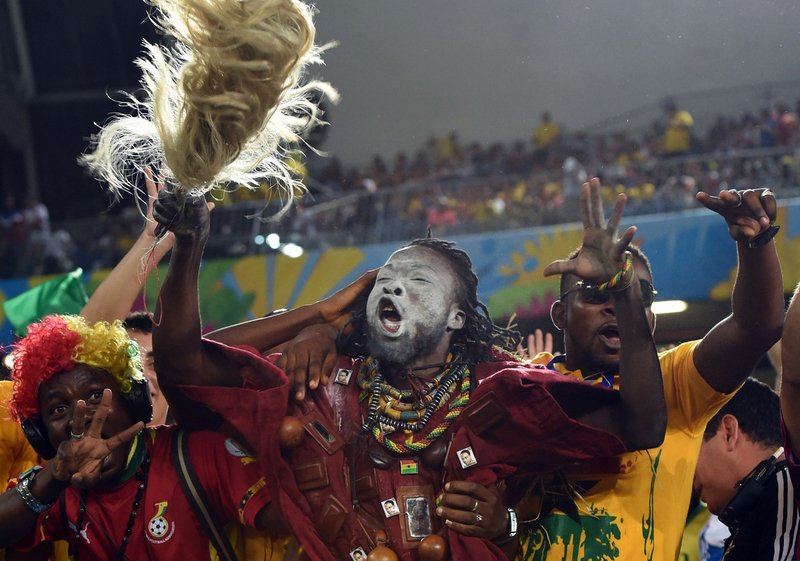 Ghanaian fans cheer before the start of the match between Ghana and U.S. at the Dunas Arena in Natal Photo by Carl de Souza/AFP/Getty Images. 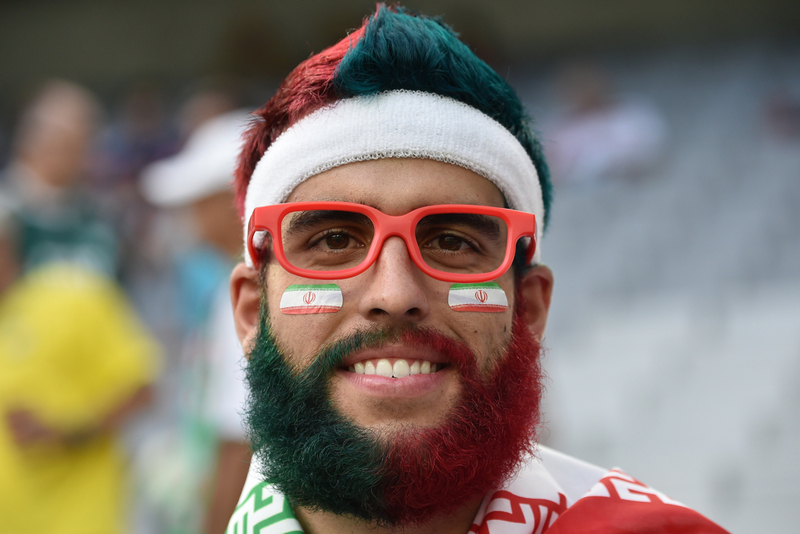 A fan of Iran’s World Cup team sports dyed hair and beard. Photo by AFP/Getty Images. 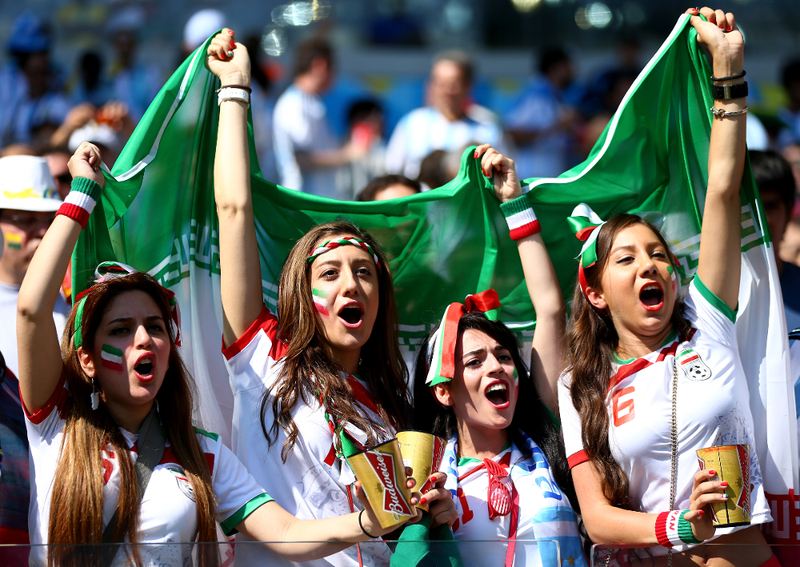 Iran fans cheer during the World Cup Group F match between Argentina and Iran at Estadio Mineirao in Belo Horizonte, Brazil. Photo by Jeff Gross/Getty Images. 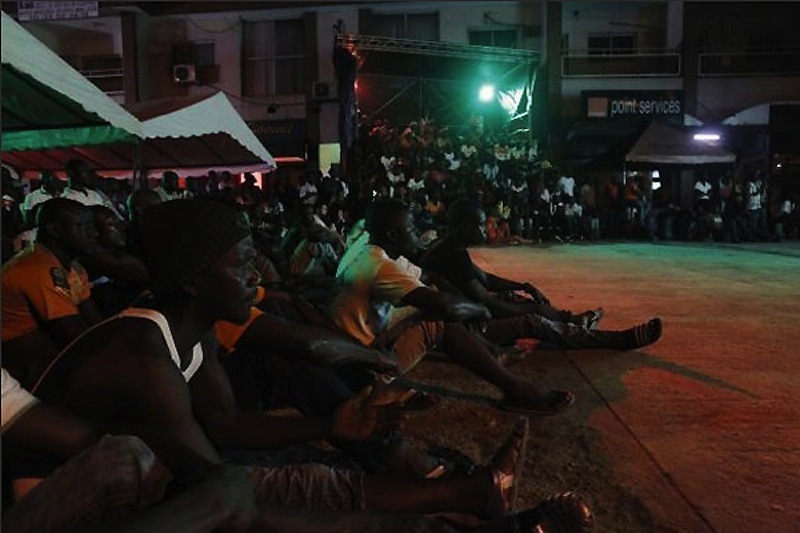 Ivory Coast fans watch a game between the Ivory Coast and Japan in Abidjan. Photo by Reuters. 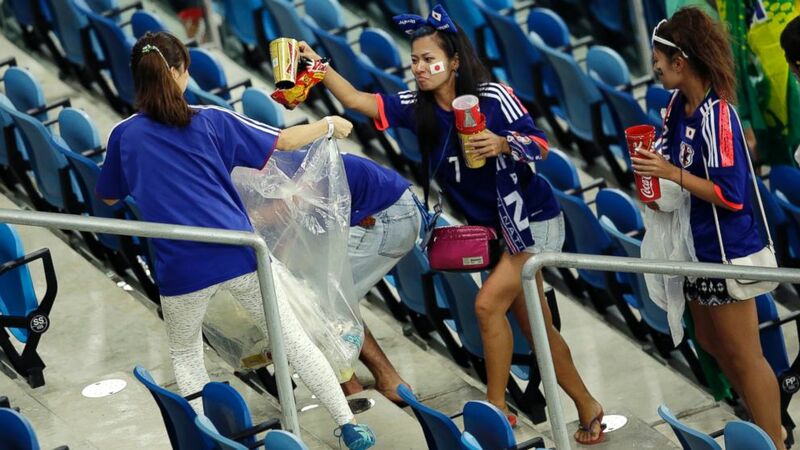 Japan supporters collect trash from the stands after the Group C World Cup soccer match between Japan and Greece at the Arena das Dunas in Natal, Brazil. Photo: Hassan Ammar/AP. 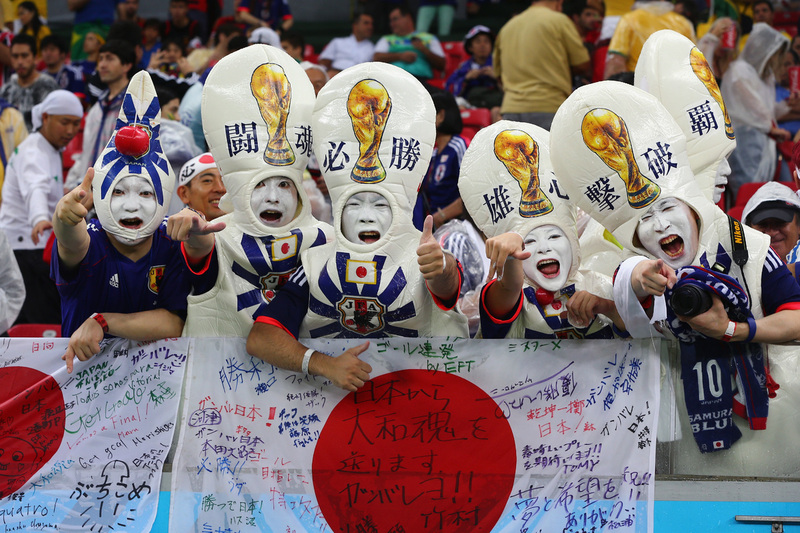 Japan fans hold a flag and cheer during the match between the Ivory Coast and Japan at Arena Pernambuco in Recife, Brazil. Photo by Jamie Squire/Getty Images. Mexican fans watch their team play Croatia in Mexico City’s main square, the Zocalo. Photo by Moises Castillo/AP. 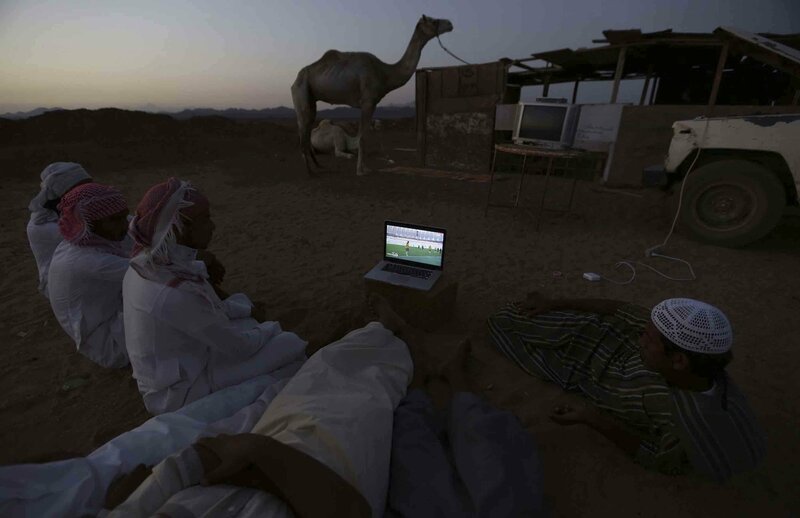 Fans watch the games at a camel market in Daba, Saudi Arabia. Photo by Reuters. 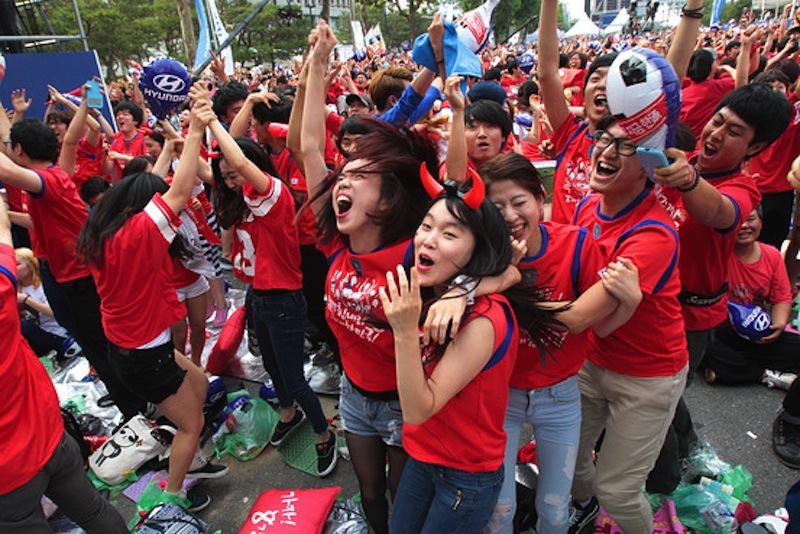 South Korean fans celebrate a goal against Russia in Seoul. Fans arrived to watch the game in Gwanghwamun Square and elsewhere in the city around 6 am. Photo by AP. 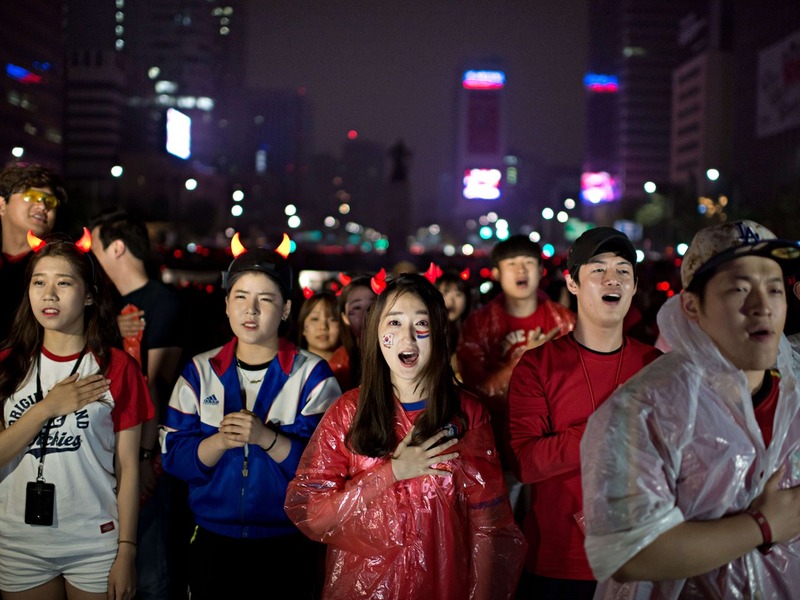 South Korean fans sing their national anthem in central Seoul before the South Korea-Algeria game. Photo by Ed Jones/AFP/Getty Images. South Korean fans watch their team lose 4-2 against Algeria in central Seoul. Photo by Ed Jones/AFP/Getty Images. 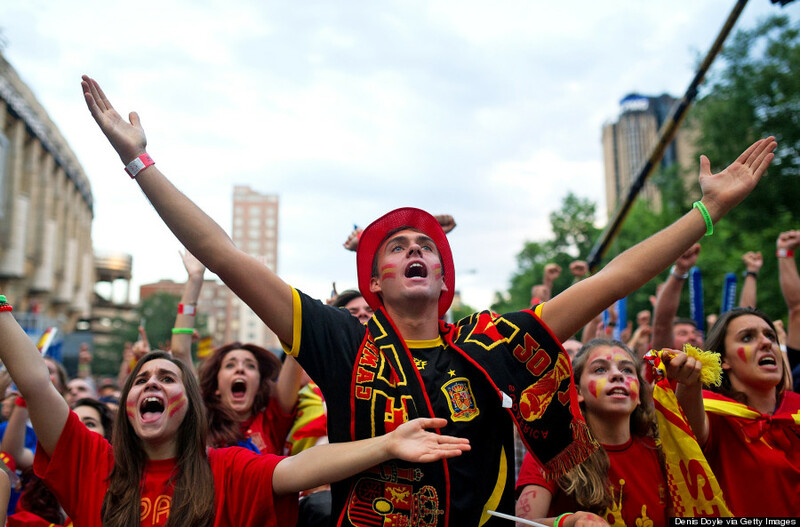 Spanish fans watch their team play the Netherlands in Madrid. Photo by Denis Doyle/Getty Images. 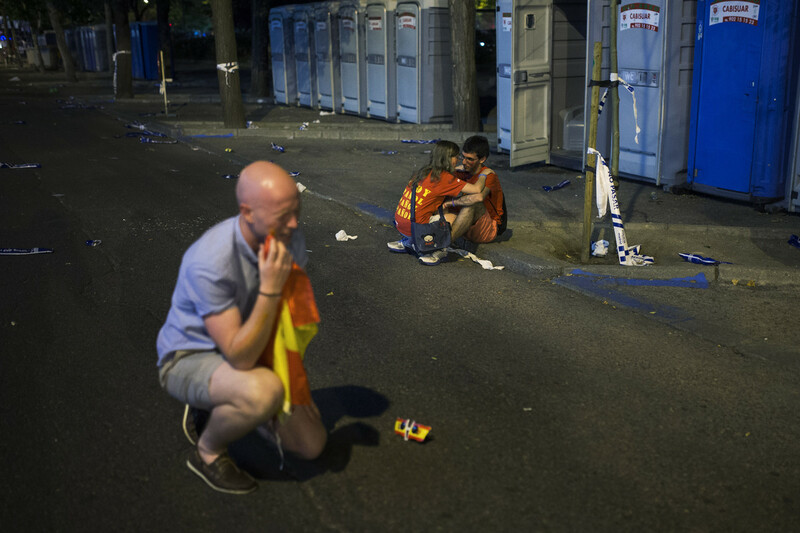 A British fan, left, and his friends, unseen, joke as a Spanish girl consoles her boyfriend, right, at the fan park after the World Cup soccer match between Spain and Chile, in Madrid, Spain. Photo by Andres Kudacki/AP. 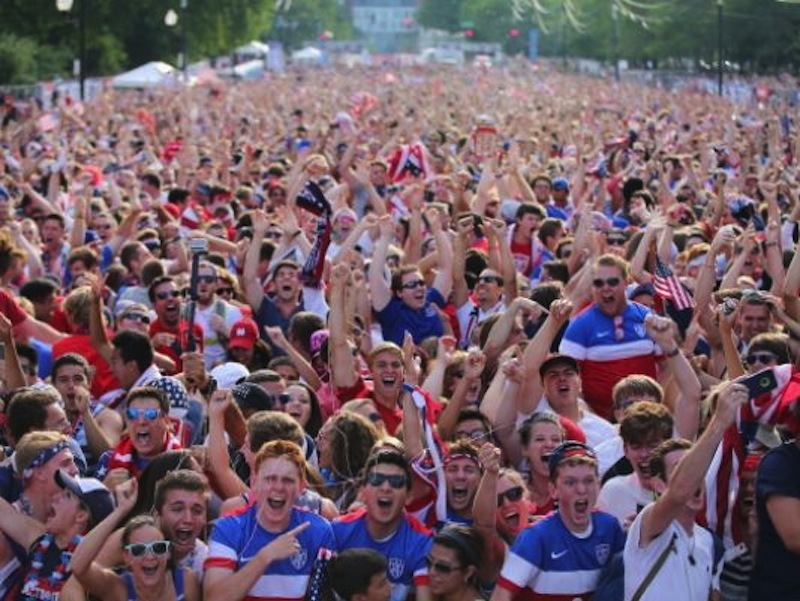 Fans celebrate in Grant Park, Chicago during the USA-Portugal game. Photo by Scott Olson/Getty Images. 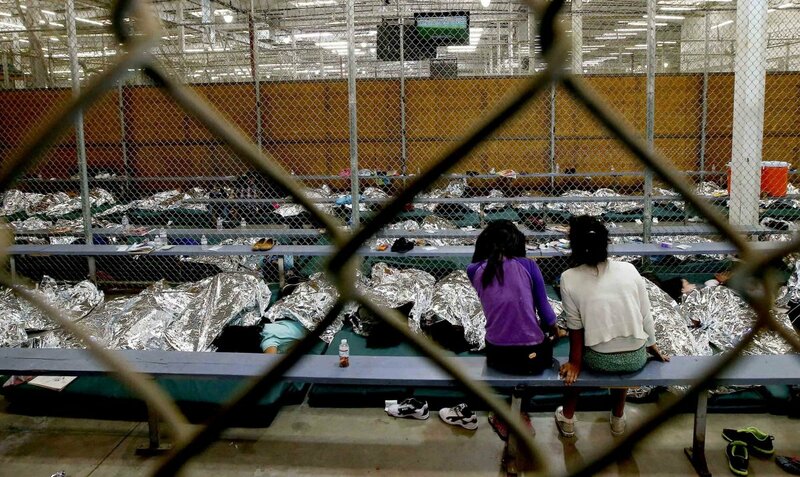 Girls watch a game from the holding cell at the U.S. Customs and Border Protection Nogales Placement Center in Nogales, Arizona. 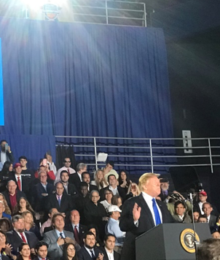 Numbers of illegal immigrant children have grown substantially in recent months as drug cartels and street gangs continue to gain power throughout Central America. Photo by Reuters. Title photo: A view of the stadium during the World Cup match between Argentina and Bosnia-Herzegovina at Maracana in Rio de Janeiro, Brazil’s largest stadium. Photo by Clive Rose/Getty Images.